Skatter Tech is in Orlando for CTIA Wireless 2011 and the conference kicks off tomorrow. A handful of cellular carriers and manufacturers have meetings and press events scheduled for the show. We will be live blogging just about all of them on Skatter Tech LIVE, but here are my initial thoughts about some expected news and product launches. At Mobile World Congress, HTC unveiled their first Android tablet: the Flyer. While it does not run on 3.0 Honeycomb, it features unique support for handwriting recognition through HTC Sense on 2.0 Froyo. The company has yet to announce any partnerships with a domestic carrier or details about a WiFi only version, but that might change at CTIA 2011. Rumors indicate that Sprint might announce a CDMA model at the show, having a 4G WiMax network behind it would be a major plus. Although the Thunderbolt just made its grand entrance onto Verizon Wireless’s brand new 4G LTE Network, it was not really a revolutionary device. It essentially packs the same hardware as last year’s HTC EVO 4G, but with polished hardware and software. Fortunately it looks like things are about to change thanks to a leak published on Boy Genius Report. It appears as though Sprint is getting ready to announce the EVO 3D, a smart phone with a 4.3 inch display, 1.2 GHz dual-core processor, 4GB of internal storage and 1 GB of RAM. There are apparently two 5 megapixel rear-facing cameras for 3D photos and a 1.3 megapixel front-facing camera for video chat. These details are not yet official, but the advancements could make this device just as revolutionary as the original EVO. After a recent $1 billion partnership with Microsoft, Nokia plans to switch their entire smart phone lineup from Symbian to Windows Phone 7. Details about handsets and time lines about launches are still scarce. I had a brief chance to try the recently announced flagship Nokia N8 and while I loved the hardware, the software was a letdown. I hope to see the new OS make it to Nokia’s handsets soon. The company has a few small events scheduled at the conference and we may hear more news from them. A few early mockups published by our friends at Engadget already look quite promising. Out invite for the Samsung’s press conference had a secret code featured on a tablet: “78910.” A simple bit of analysis makes it easy to decipher. The company already has a 7 inch Galaxy Tab and a brand new 10 inch model. The latter was announced at Mobile World Congress 2011 last month. The remaining numbers are 8 and 9, which mean either two more new sizes or an 8.9 inch tablet. I am not so sure so many sizes are actually necessary, but Samsung clearly intends to bring at least one new tablet to the market as early as tomorrow. The choice hopefully won’t confuse consumers too much. At CES 2011, RIM quietly published a press release with Sprint about the upcoming PlayBook tablet. There were no details about pricing or availability at the time. The company may announce finalized details at CTIA 2011. The tablet is somewhat a dark horse to Apple iPad and the emerging Google Android tablets, but it packs some neat features. We also uncovered details about a Verizon Wireless PlayBook earlier last month, so we may see an announcement regarding that as well. At the end of this month, the WiFi-only Xoom will begin to hit retail stores for $600. 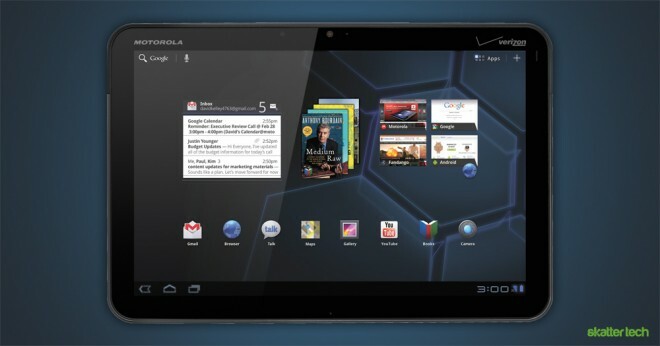 This follows the announcement of the 4G capable Verizon Wireless Xoom just a few weeks earlier. It is doubtful that Motorola will announce any more iterations of the tablet, but some rumors highlight a possible Sprint model. At the very least, we might see an announcement regarding software upgrades for the tablet along with details about the 4G upgrade process for early adopters. 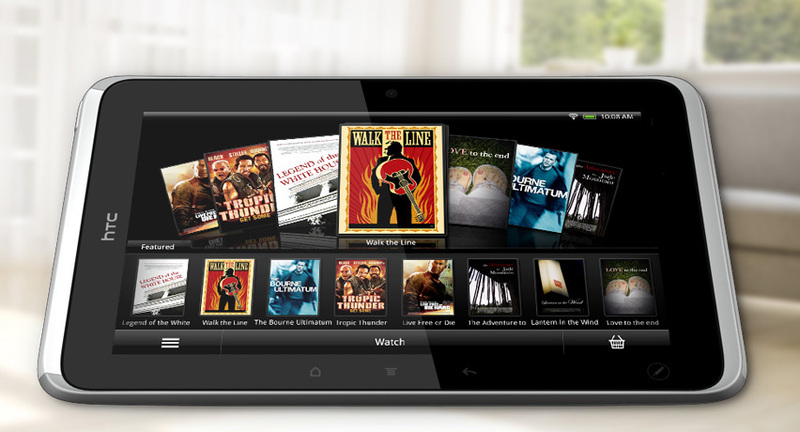 The dual-core Droid Bionic has yet to hit stores. I am hoping to see Motorola and Verizon Wireless finally bring the handset to the market. Disclosure: Nokia sponsored Skatter Tech for CTIA Wireless 2011 and the company is covering various expenditures on our behalf. We will not publish any additional articles or favorable content in return. As always, Skatter Tech will remain editorially independent.